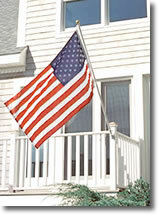 Our aluminum flagpoles are manufactured in the USA. 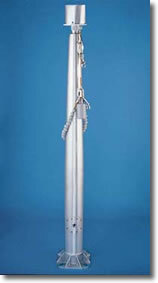 The flagpoles are precision fabricated utilizing the industry's most sophisticated, state-of-the art manufacturing process. 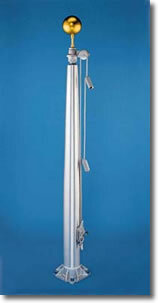 Below are our most popular styles of flagpoles. Whether you need a flagpole offering ease of installation, maximum security, simplicity in residential setting, or poles that can withstand hurricane winds, Badgerland Flags has you covered.